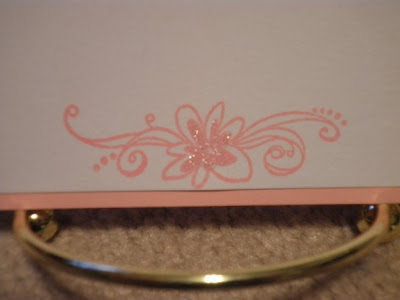 Paper Crafts by Candace: More Note Cards.. This is another set of 5 simple notecards. They measure 4.25 x 5.5 inches. 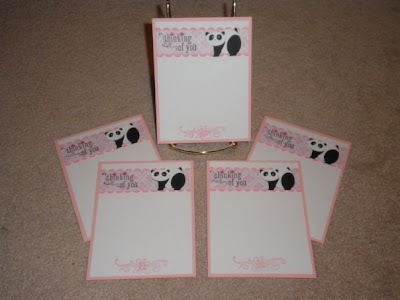 The panda is from the cricut cartridge Pagoda cut at 1.4 inches. The paper is DCWV. 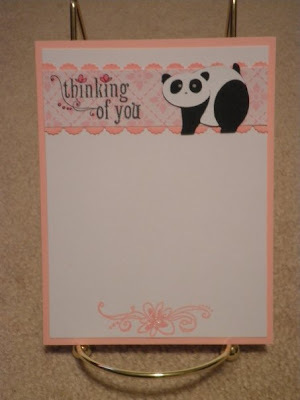 I stamped the sentiment "Thinking of you" along with the flower at the bottom. I also stickled the flower at the bottom. 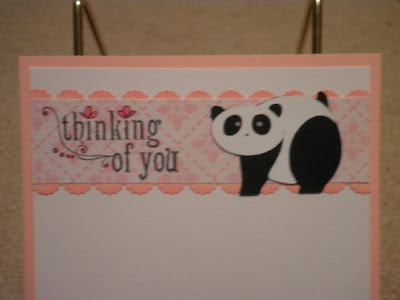 These note cards are SO cute! !